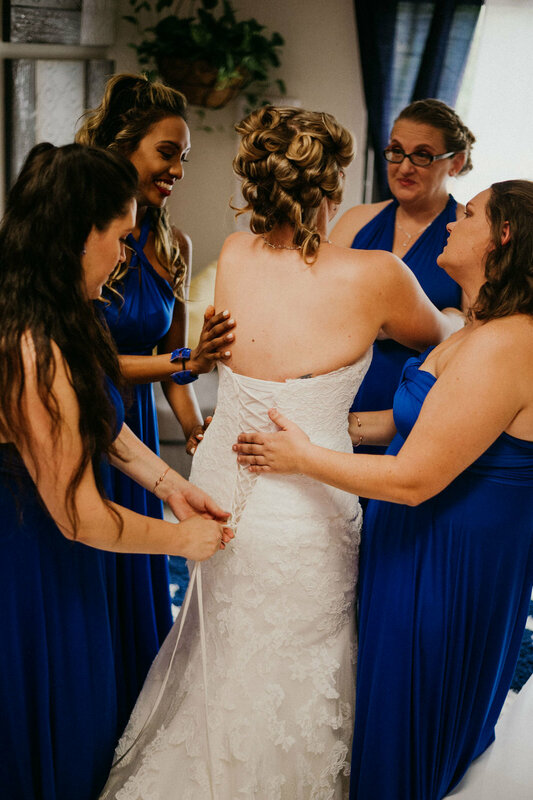 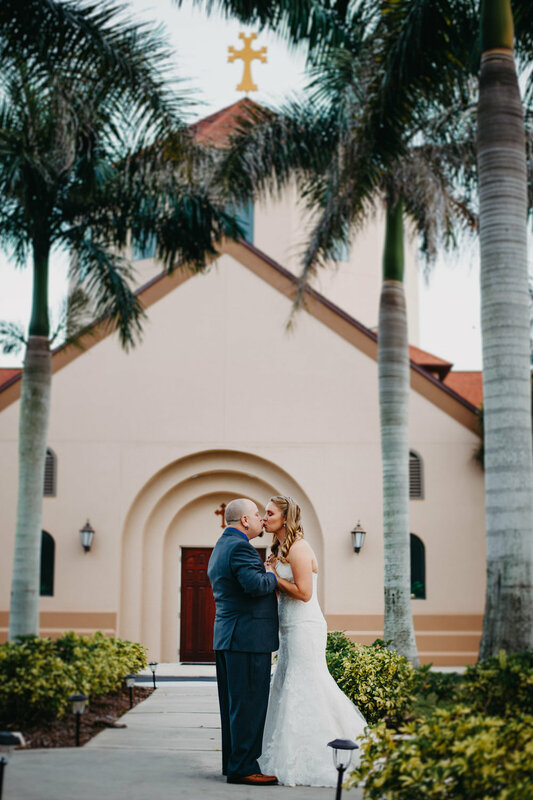 Teresa and Will were sent to us by one of last year’s amazing couples, and we couldn’t have been happier to add more friends to our McNeile Family! 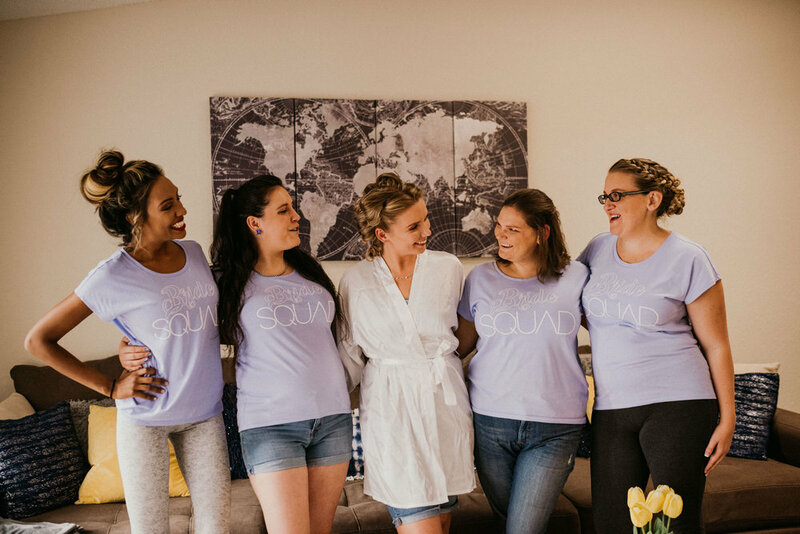 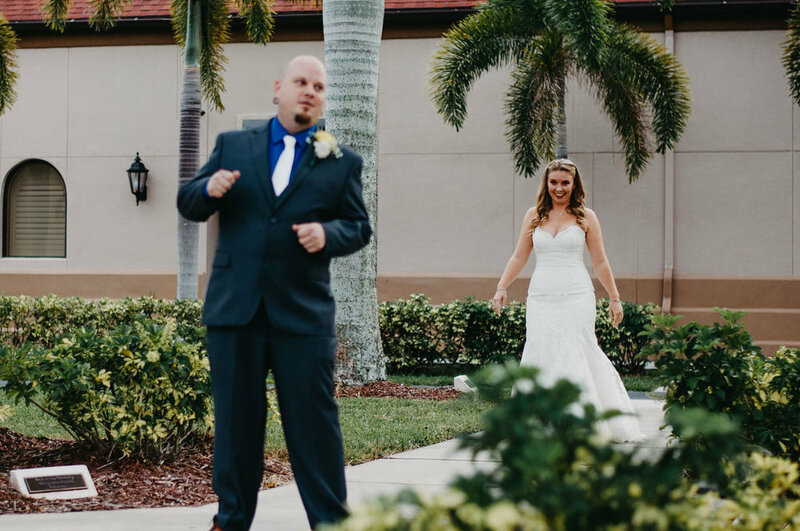 They came to us only two months before their wedding date, but we were up for the challenge of diving in and helping them put the finishing touches on their planning and timeline. 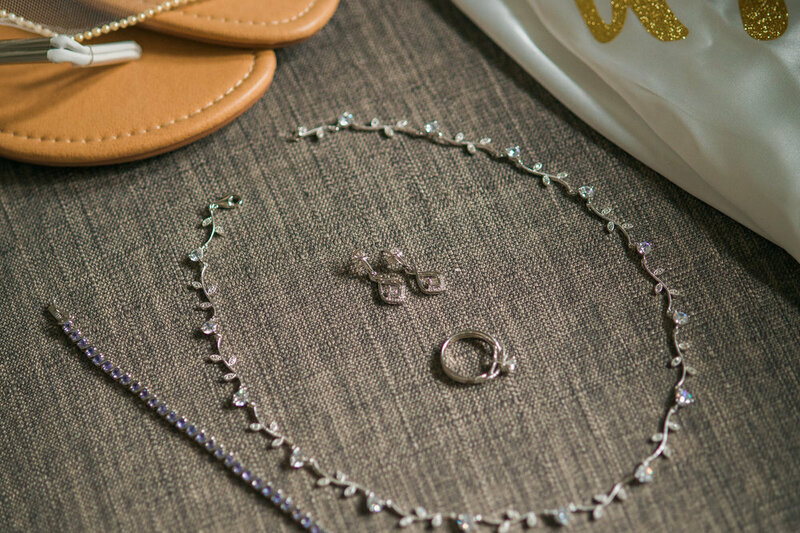 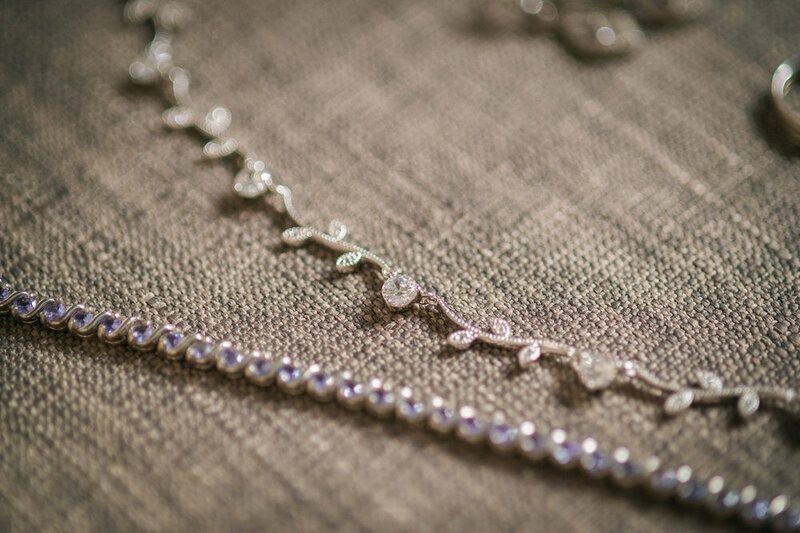 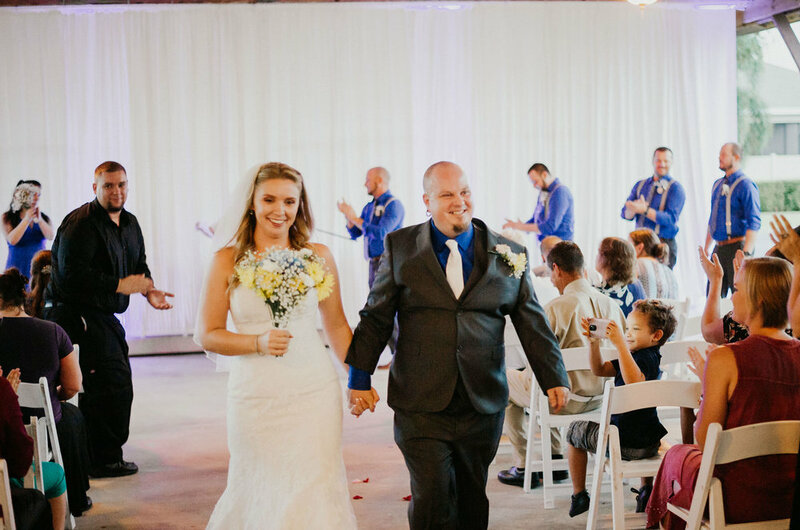 A laid-back couple with seven years of history together, their main priority was celebrating their pledge of forever love together; the rest was all just secondary accents and formalities. 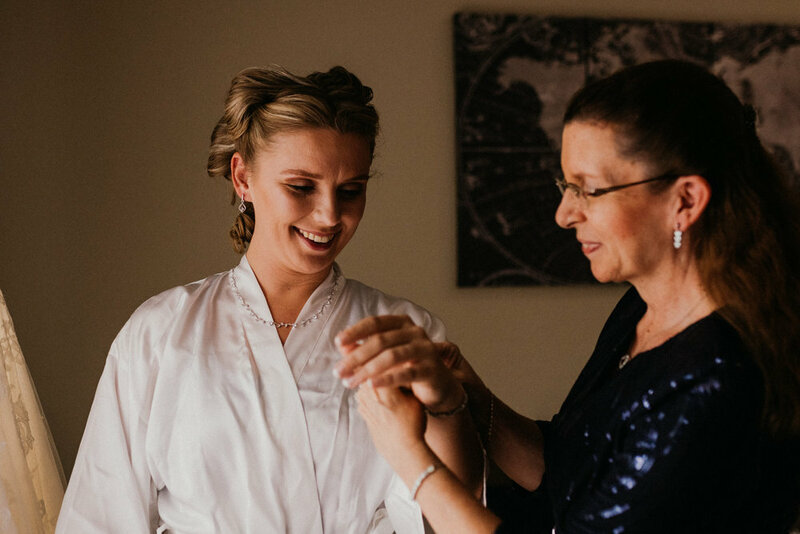 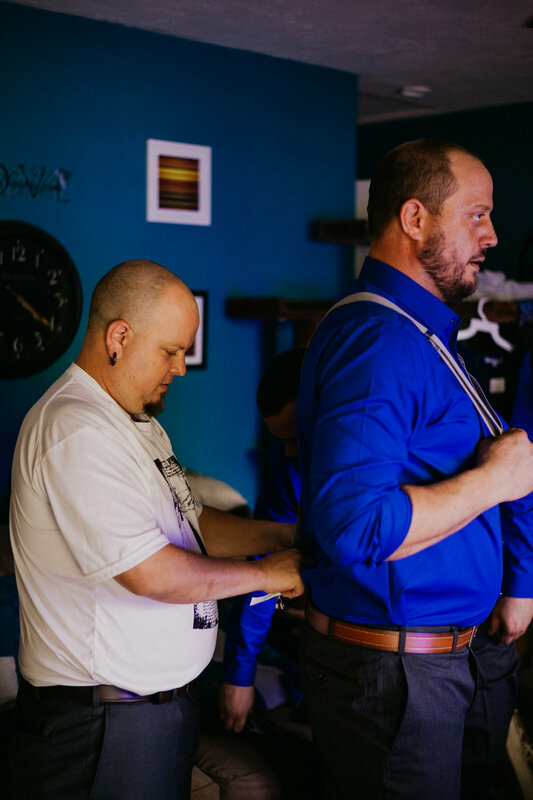 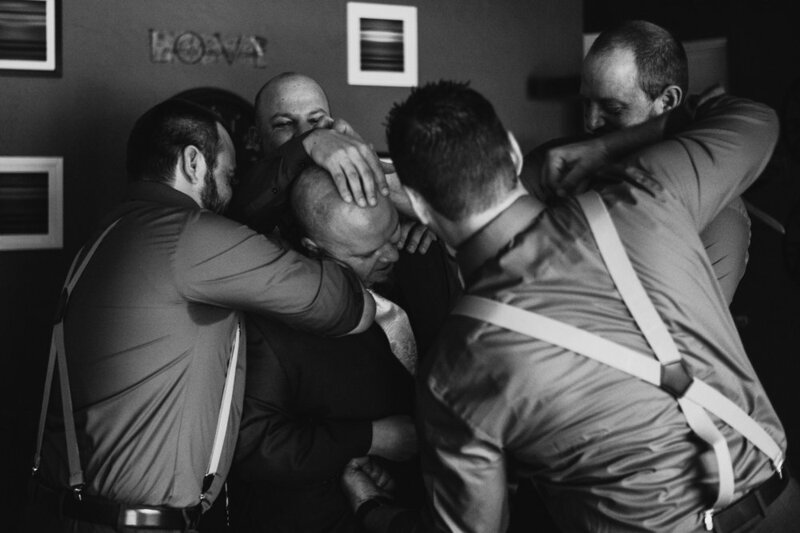 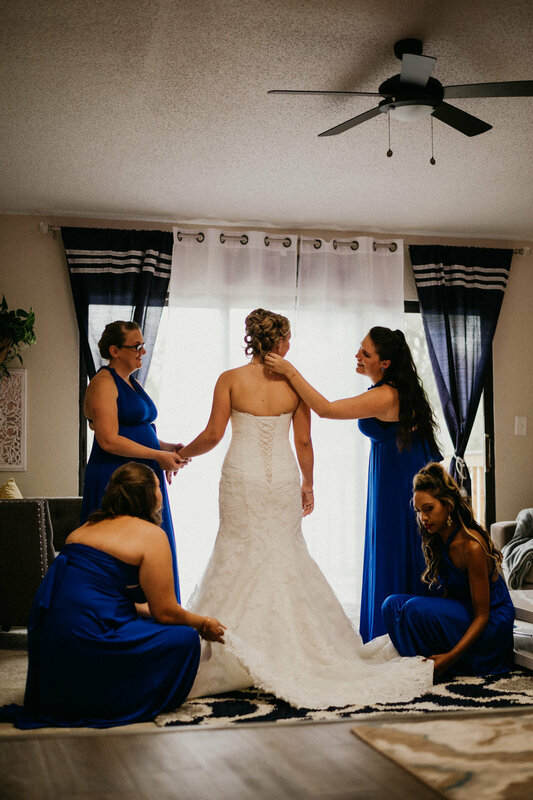 Our couple shared an intimate and emotional first look just minutes before the start of their ceremony. 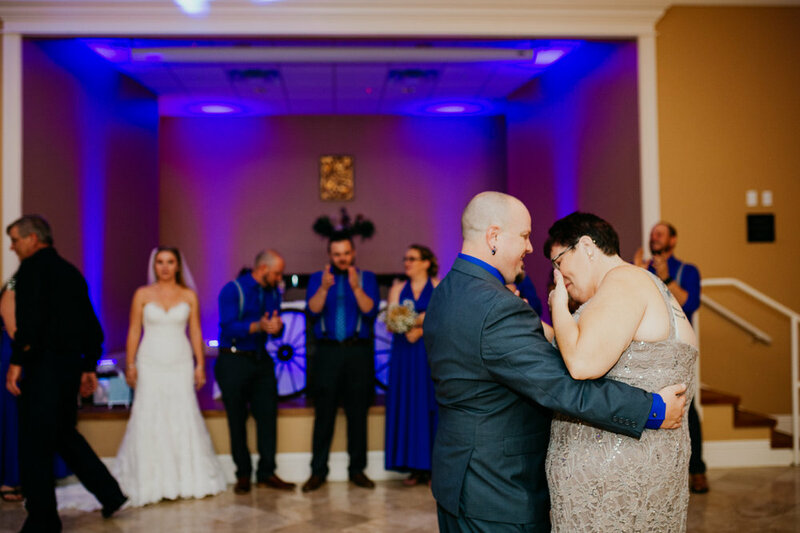 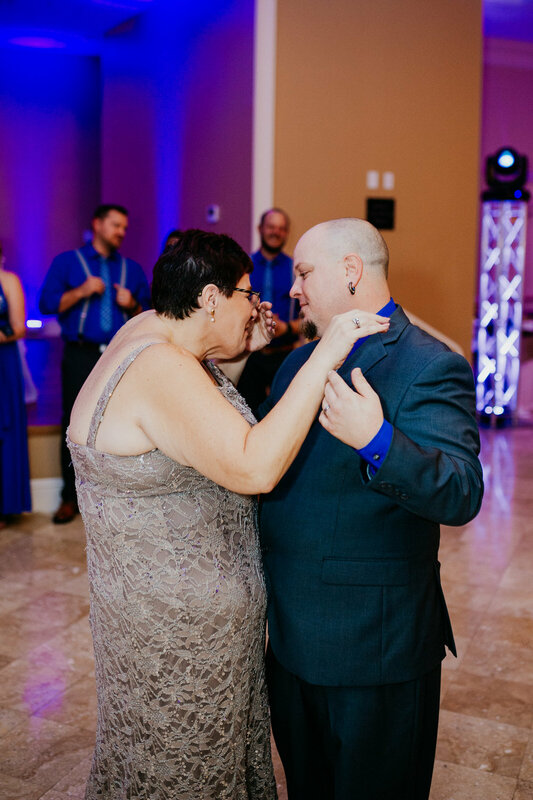 Will was overcome with emotion while Teresa beamed, looking beautiful in her exquisitely tailored, lace sweetheart-cut gown. 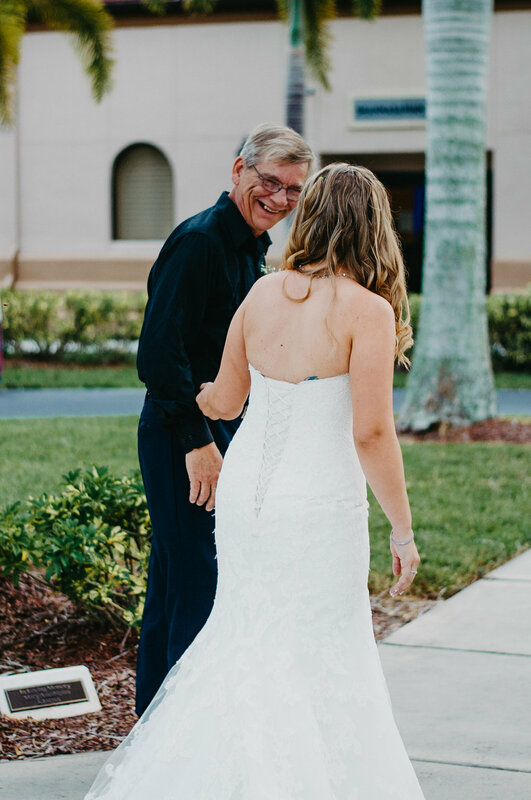 Teresa squeezed in a quick moment with her father as well, which was full of more proud and excited smiles. 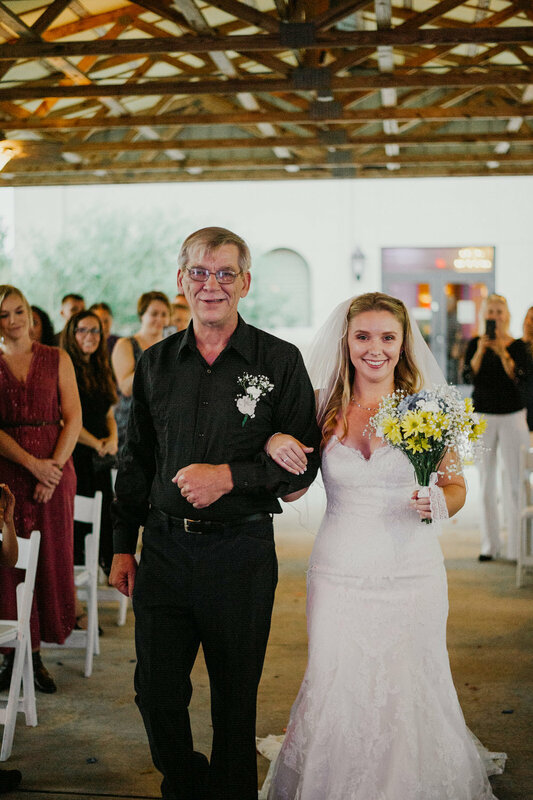 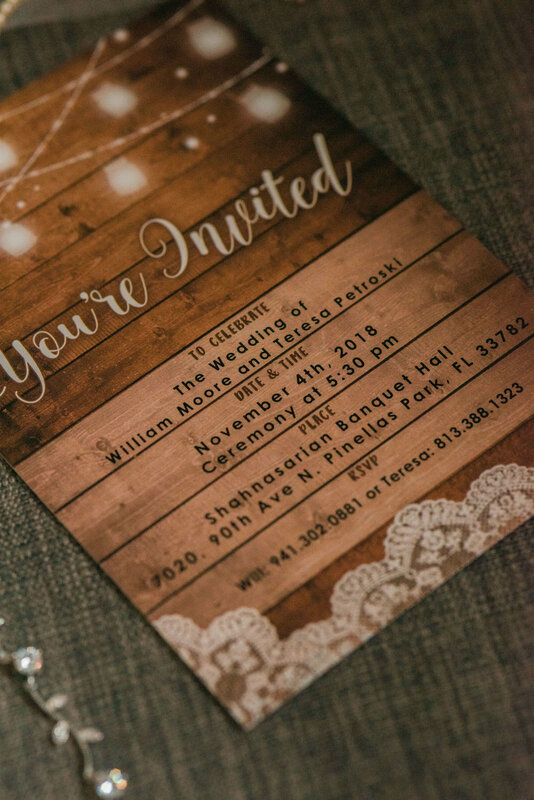 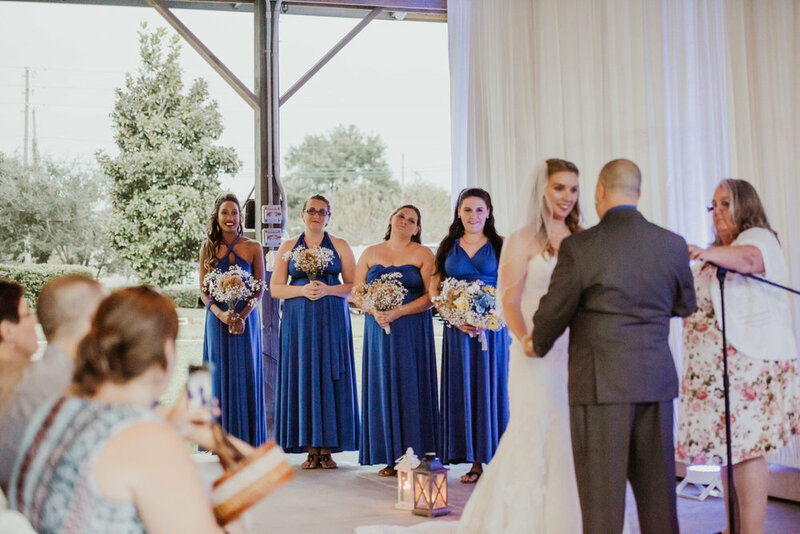 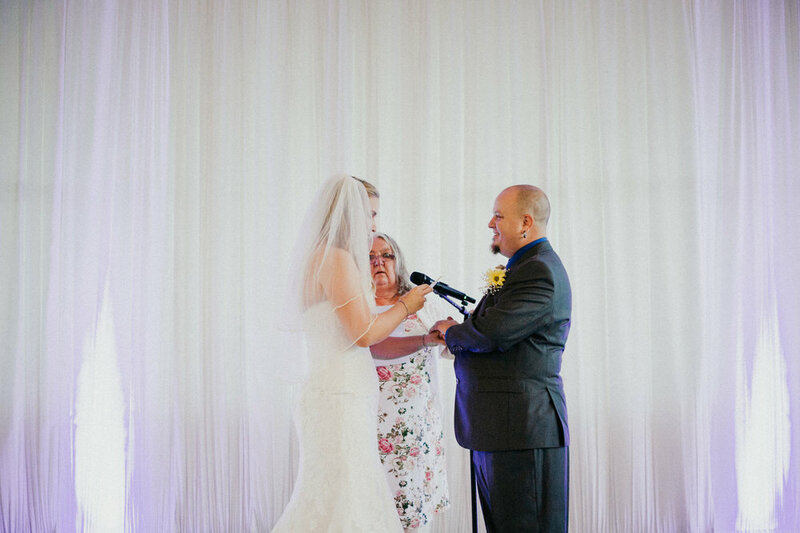 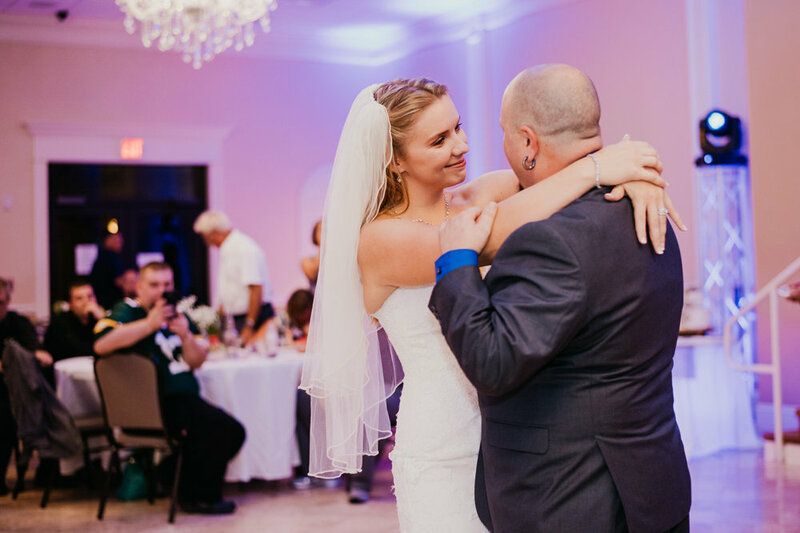 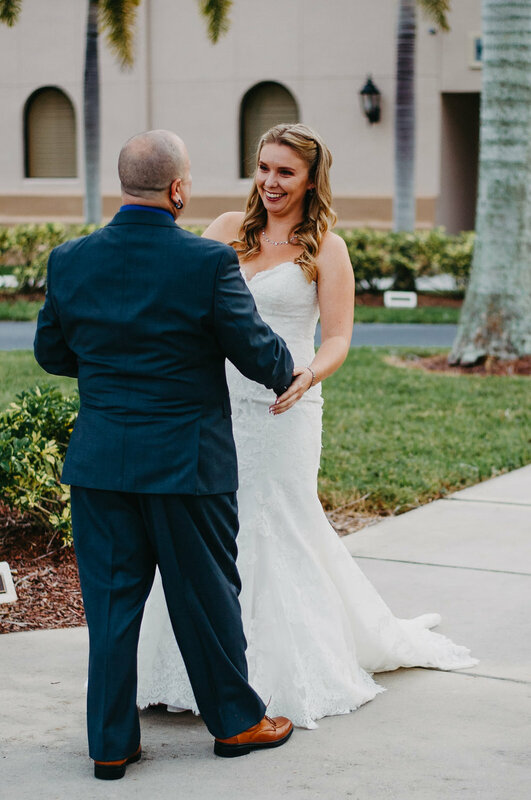 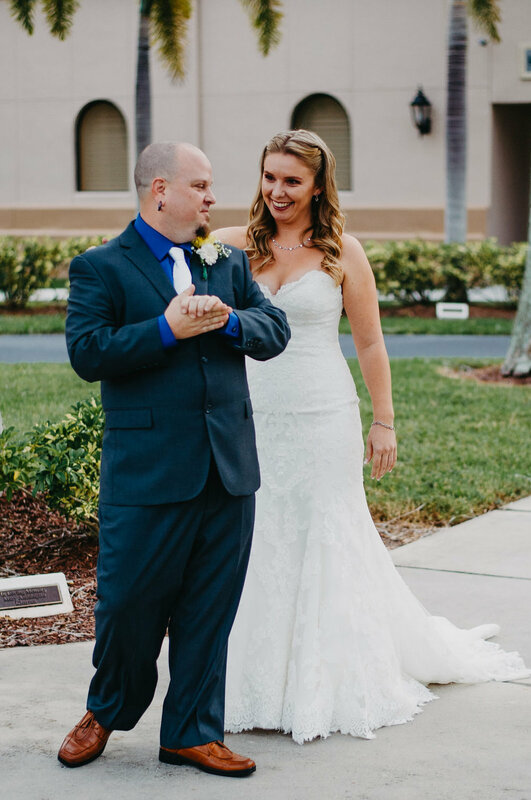 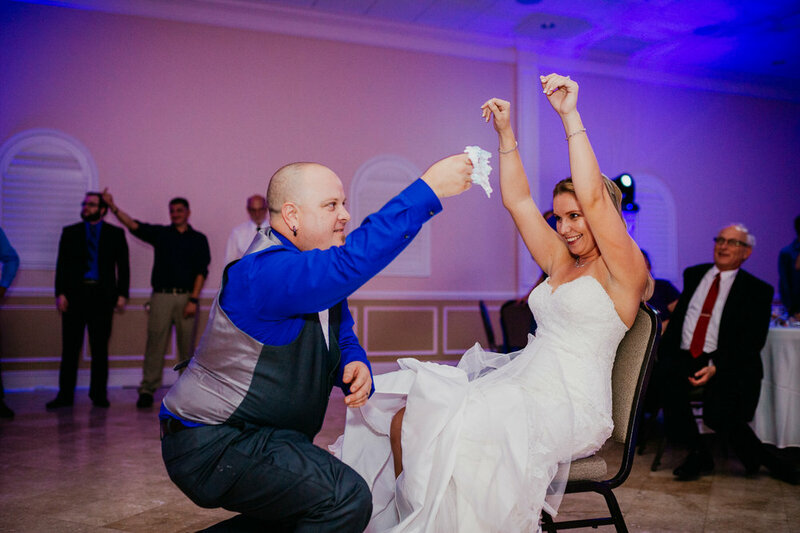 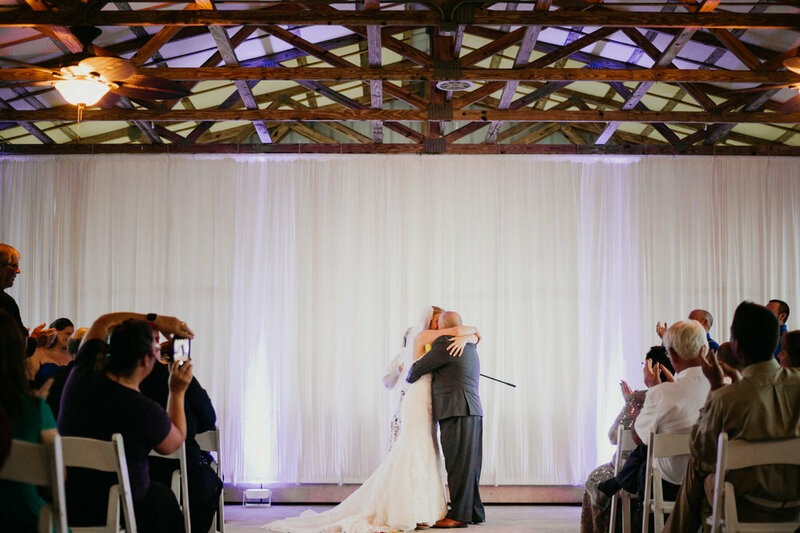 Their ceremony took place at the Shahnasarian Hall in Pinellas Park under a simple pavilion while a single guitarist played and serenaded guests. 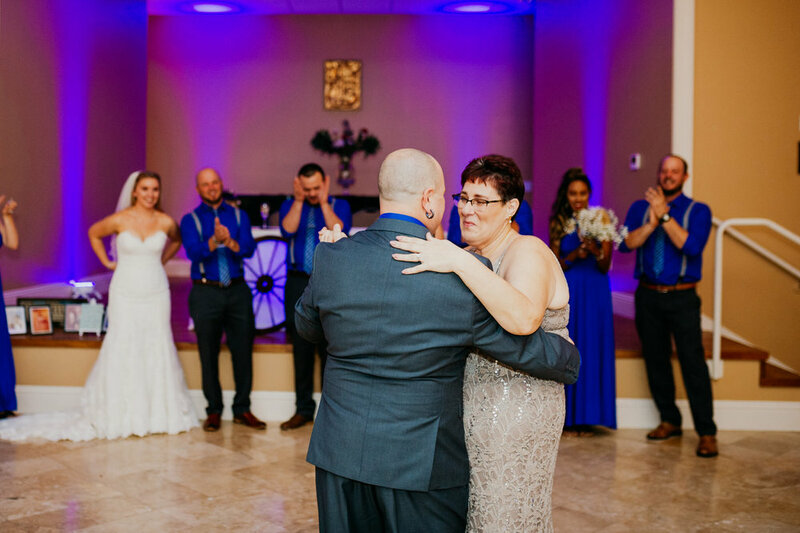 The couple exchanged emotional, personally written vows before retiring into the large, chandelier-lit reception hall where a lively and awesome party ensued. 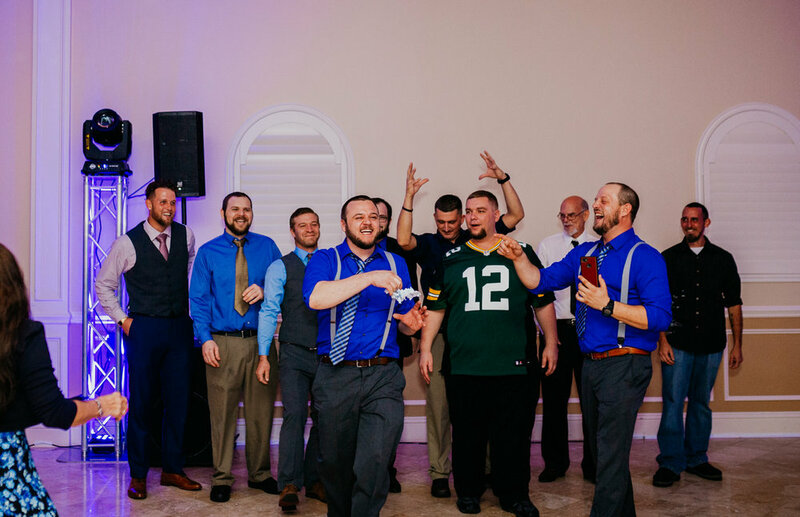 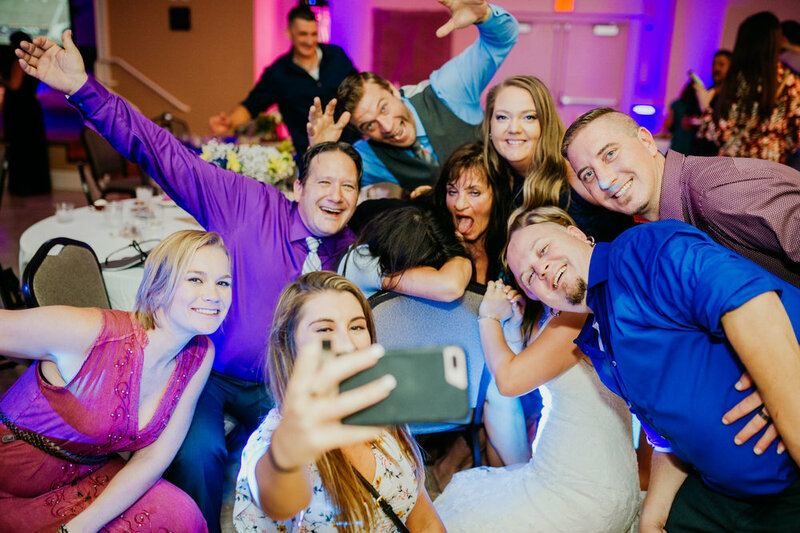 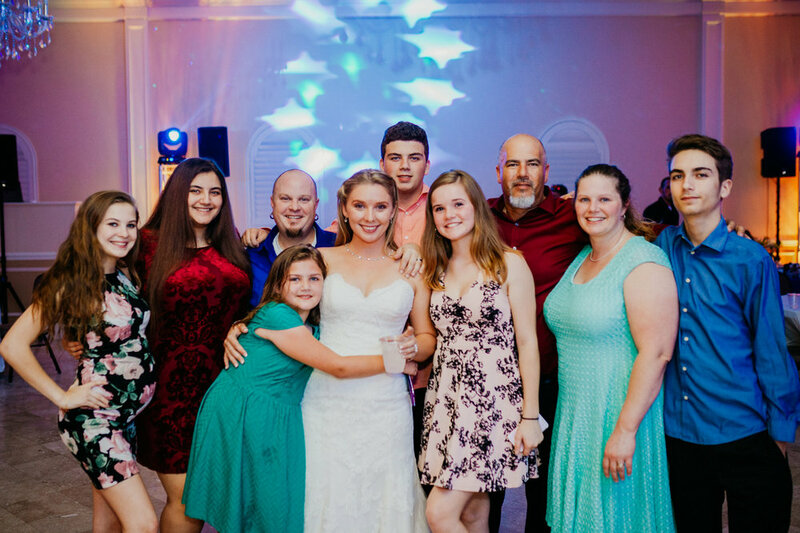 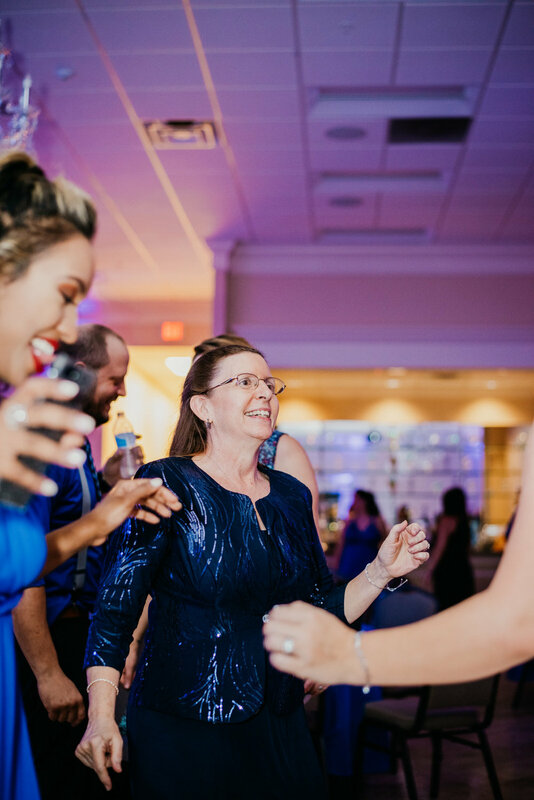 This rambunctious group of family and friends partied hard late into the night, but they took a small break from celebrating in order to help us stage a magical sparkler exit for our newlyweds. 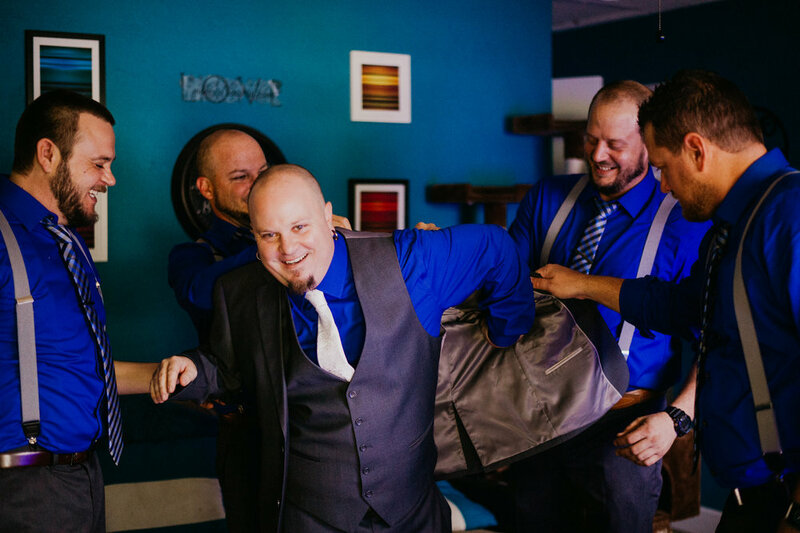 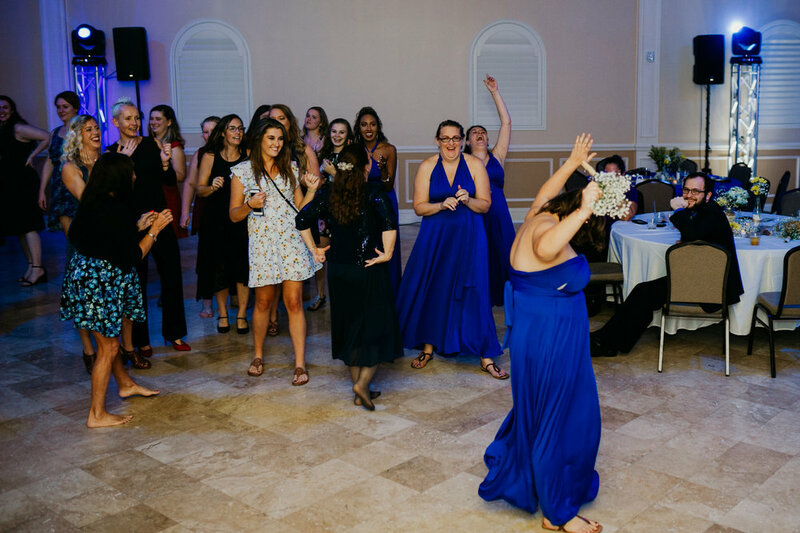 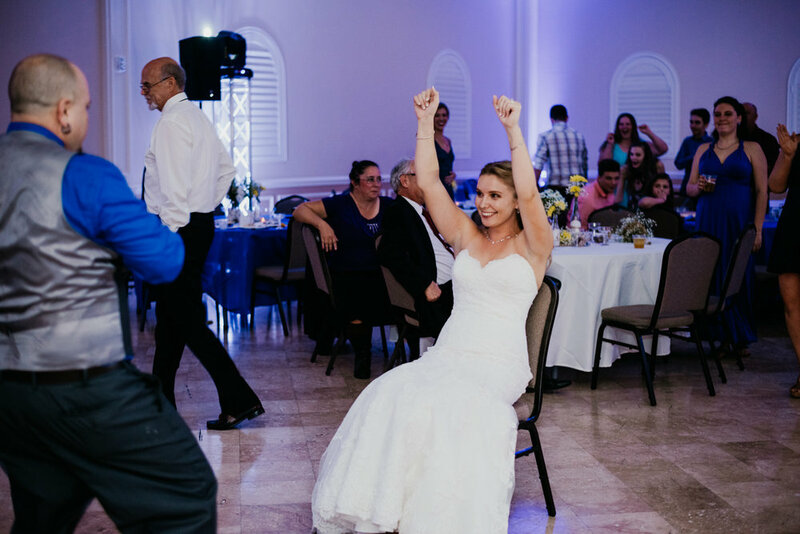 Staging an exit was the perfect way to capture some epic “end of the night” portraits without actually cutting the partying short! 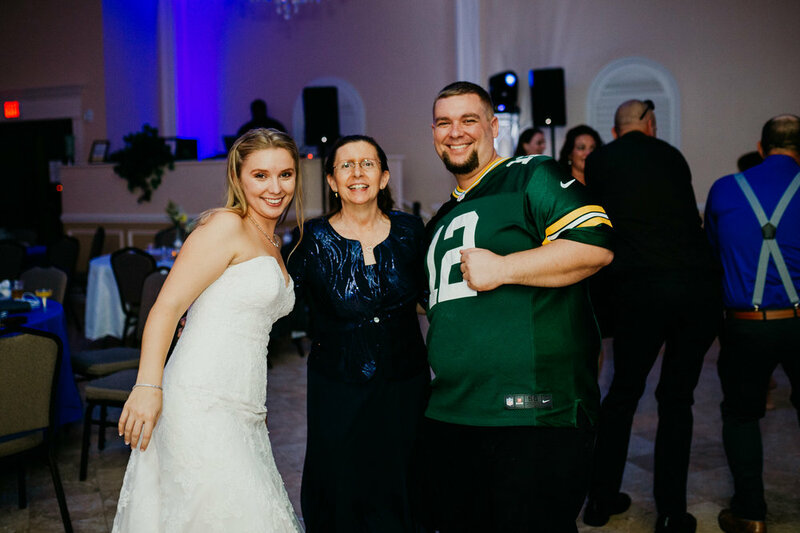 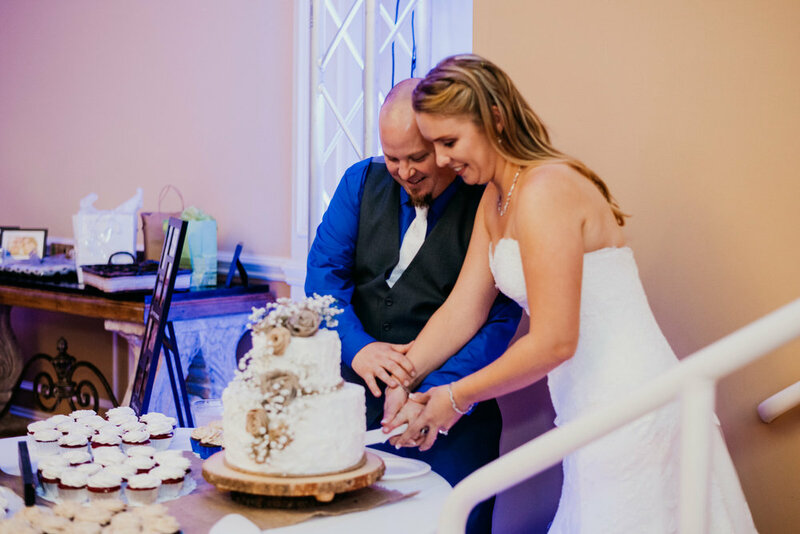 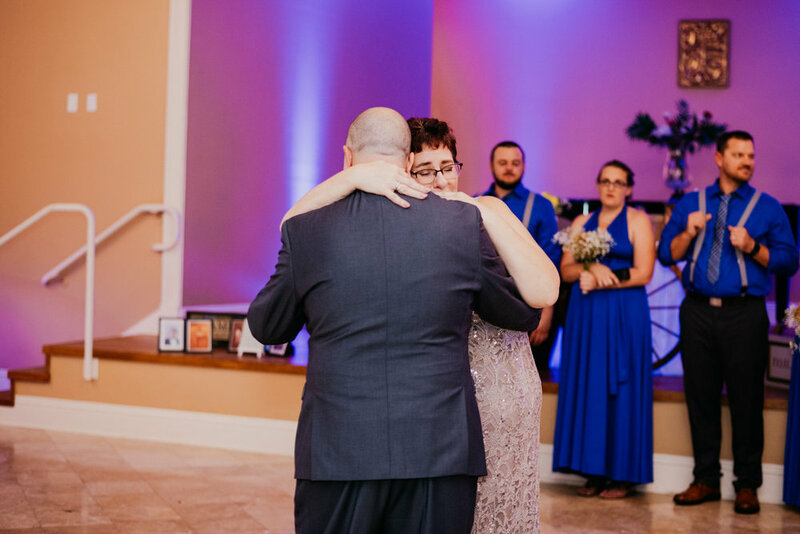 Even though our relationship with Teresa and Will was cultivated over a shorter period of time than most, we are happy to call them a McNeile Couple, and sharing in their joyful celebration of continued love and companionship was our pleasure!